Cozumel is the largest island in the Republic of Mexico. It lies about 14 kilometers off the eastern coast of the Yucatan Peninsula, in the State of Quintana Roo. It is 53 kilometers long (about 34 miles) and 14 kilometers wide (about 8 miles). It is the largest of three islands off the coast of Mexico. (The others are Isla Mujeres and Contoy). The island rose from the sea in the Pleistocene epoch to its maximm height of 45 feet above sea level. 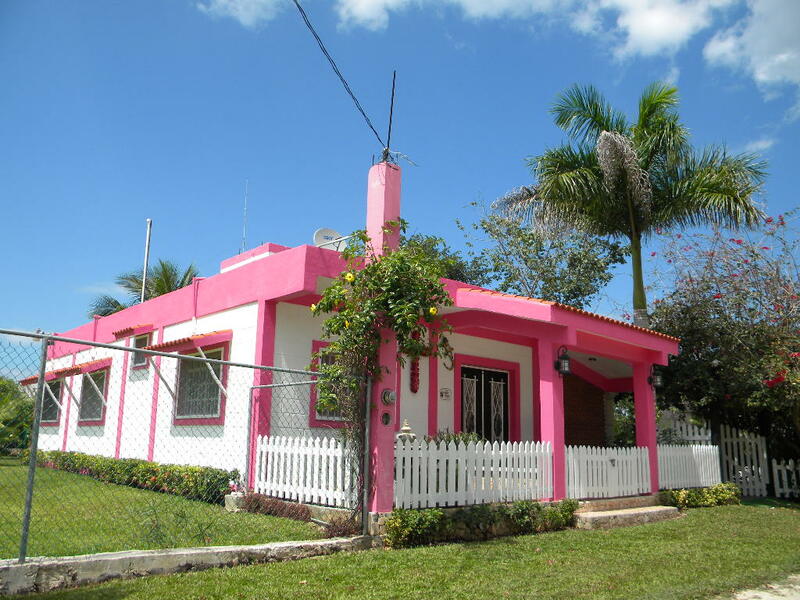 Cuba is 95 miles north of the island and Cancun and Isla Mujeres are thirty miles to the northwest. The maximum elevation of the island is 45 feet. The limestone surface is pitted with caves and holes which absorb all the rain water, creating a large underground fresh-water supply. The channel between the mainland and the island goes to the depth of 3000 feet, and the currents sometimes reach five knots. 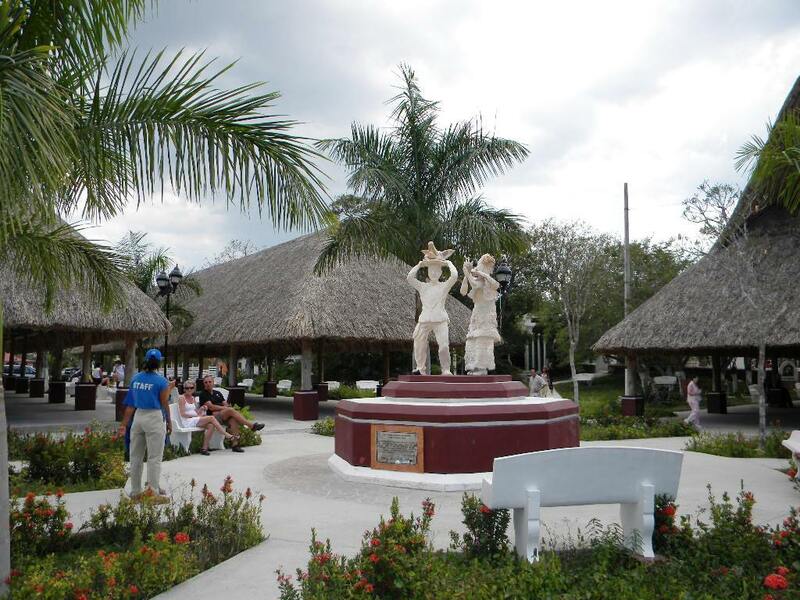 The island was originally named by the Maya, Ah-Cuzamil-Peten, meaning “place of the swallows”. The Spanish simplified the pronunciation and just called it Cozumel. It has been inhabited by the Maya since at least 300 A.D.
As an important trading center, Cozumel was in contact with regions as far north as Veracruz and as far south as Honduras. It was considered an indispensable port for the culture's “merchant marine” link of establish trade routes. The island was also an important religious pilgrimage center and drew people from all parts of the Maya realm to the shrines to Ixchel. 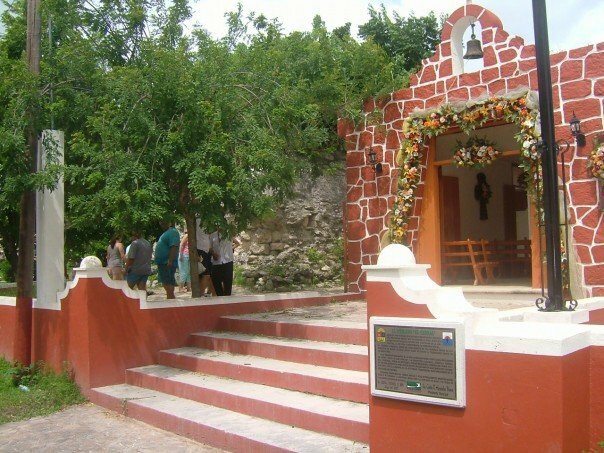 It was known as an island of love and fertility and Maya women made the pilgrimage to Cozumel before their weddings. This was a sacred place. Pilgrimages from all ove rthe Mesoamerica came to honor Ixchel, the goddess of fertility, childbirth, the moon, and rainbows. Viewed as the mother of all other gods, Ixchel was often depicted with swallows at her feet. Mayan women were expected to visit Ichel's site at least once during their lives, made the dangerous journey from the mainland by canoe. Cozumel's main exports were salt and honey, at the time, both were considered more valuable than gold. Some ruins on the island are still more or less standing, others have been destroyed. San Gervasio has been excavated in recent years and is now accessible by tourists. In 1518, the Governor of Cuba, Don Diego de Velezquez, sent Juan de Grijalva on an exploratory expedition to the unknown western lands to look for slaves. The first place Grijalva landed was Cozumel, on May 3, 1518. 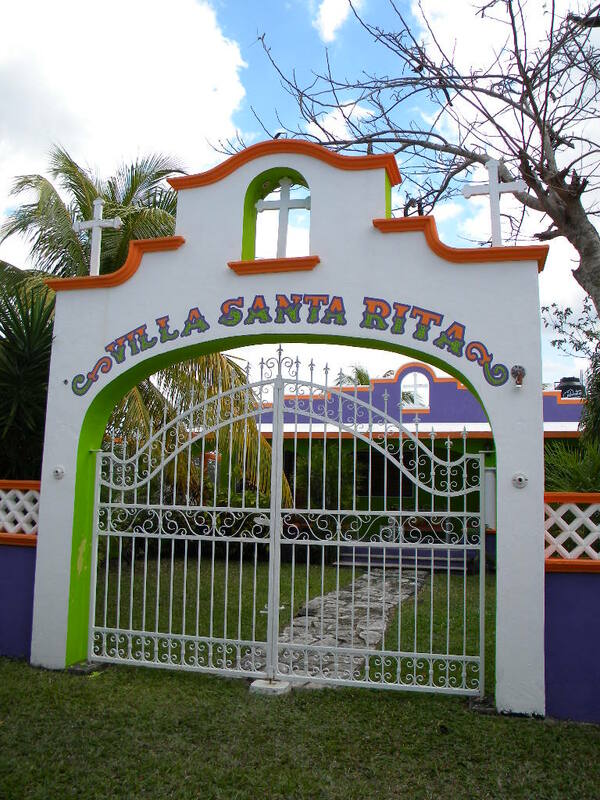 On this day, the name Isla de Santa Cruz was given to the island but the original name, Cozumel, survived. During this same expedition, the first Catholic mass in Meso-America was celebrated, possibly from the top of a pyramid. Grijalva’s peaceful visit was followed in 1519 by Hernan Cortez, on the first stop of an expedition to conquer Mexico. Cortes was in Cuba at the time, and heard tales of this new land. He set sail for this new fabulous land with eleven ships, and five hundred men, horses, and goods for barter. Francisco de Montejo as a captain, and Alaminos was chief pilot of the small arnada. They landed in Cozumel again, and through a little luck, this is where Aguilar the ship wrecked sailor was reunited with his Spanish countrymen. Geronimo de Aguilar, Gonzalez Guerrero and Ortez joined forced and set upu a military base on the island. In their invasion, they tore down many of the Mayan temples. They built a small church somewhere near where the airport now stands. Guerrero died defending his adopted people, and the Maya still consider him a hero. This church wasn't all he left behind. Smallpox swept the island after his departure and the population fell to under 300 by 1570. 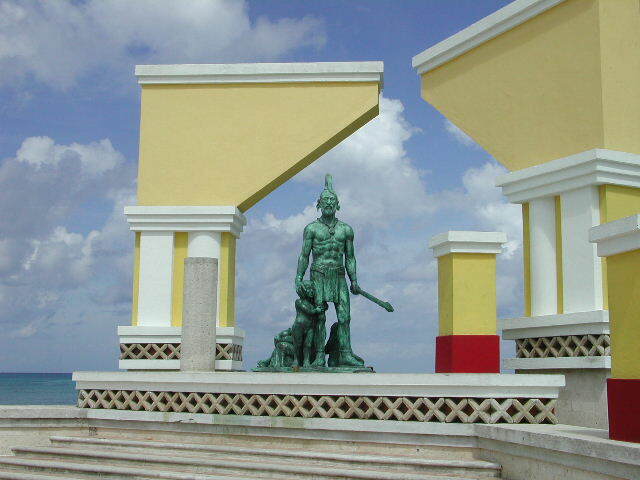 While on Cozumel, Cortez was told of Geronimo de Aguilar, the Spanish survivor of a shipwreck who had been living with the Indians on the mainland. 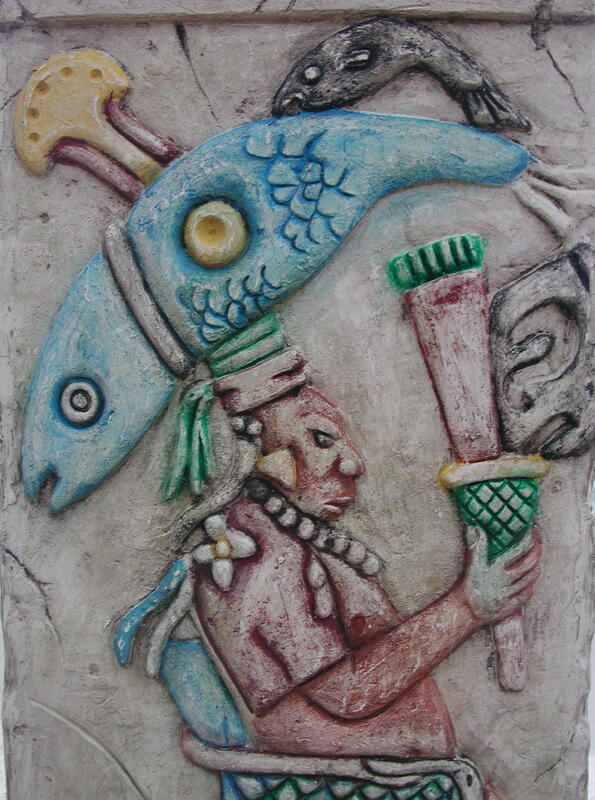 Cortez sent for him and the story has it that Aguilar swam to Cozumel to see Cortez. Because of his knowledge of Mayan and Spanish, he was able to serve as Cortez’s interpreter during the conquest of Mexico. 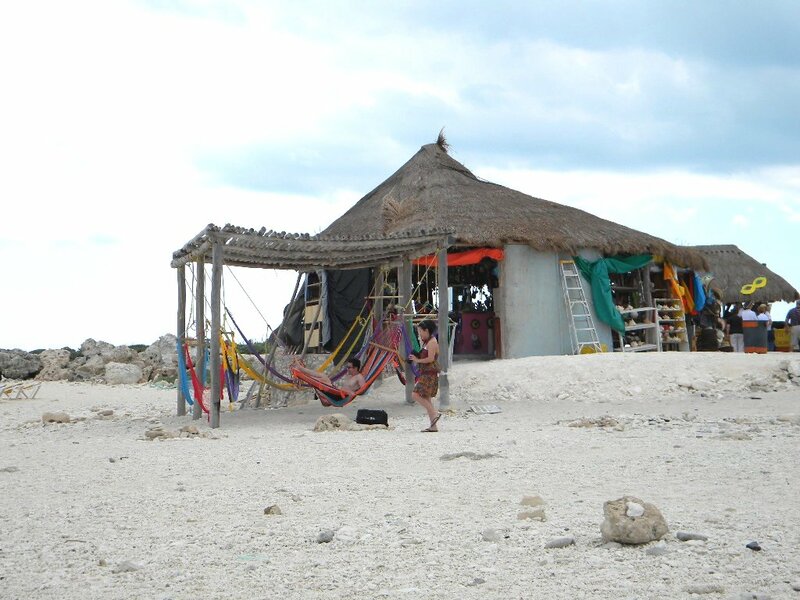 The island was also the base of operations for Francisco de Montejo’s first attempts at the conquest of the Yucatan. When his expeditions on the mainland failed, Cozumel was taken over by the Spaniards until the conquest of the Yucatan in 1543. By the time the Spanish got around to belatedly conquering the Yucatan, they found it a much more difficult task than the organized kingdoms of the west. The Mayan economy of Belize and the Yucatan had already collapsed, or was in severe decline, because of the western conquests of the Spanish. What once had been flourishing cities and roads had already deteriorated into scattered settlements. French, Dutch and English pirates had already started to attack the Spanish settlements for their gold by the 1560's. The Spanish found it difficult to conquer the Yucatan. Their horses were of little benefit, the terrain was harsh and the Maya were aware that resistance would bring reprisals by military expeditions. The Maya thus found it more prudent as a policy to feign submission and then relocate to new settlements. Or go along with the Spanish customs and missionaries were it could not be avoided and return to their own government and religious beliefs when the interlopers departed. The Spanish took more than 165 years to achieve an equivalent control over the Yucatan compared to the few years it took to conquer the mighty civilizations in the west. The Lacandon Maya have never been conquered by the Spanish or the successor government of Mexico and still give trouble to the authorities in Mexico City today. By 1600, the island was completely abandoned. Pirates took advantage of the calm deep waters to rest between their raids and used Cozumel as a base of operations. Famous pirates such as Henry Morgan and Captain Jean Lafitte visited often. In the meantime, the few local natives were busy producing chicle (used for chewing gum, collected from the sapodilla tree) and copra (coconut kernels). The Maya war of 1847 was launched across the wide Yucatan and reached from Bacalar in the south almost to the houses of Merida. The war stopped for the rainy season because the Mayans troops had to return to their fields in their villages to plant. The foreign Spanish invaders re-grouped and the Maya had to retreat again, though the new frontier was now about where it had been a hundred years earlier in the mid 1700's. This state of affairs continued for another fifty years. In 1901, Chan Santa Cruz the cruzob capital fell to federal Mexican troops from central Mexico. The Caste War was technically finished, but not in practice. 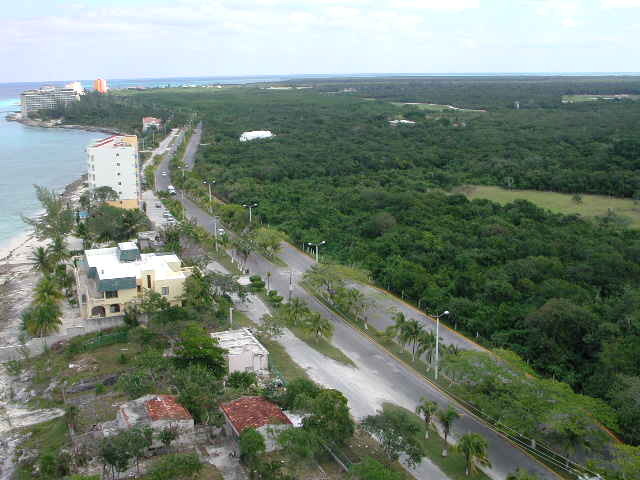 The Santa Cruz Maya still controlled the district around which is now called Quintana Roo. The war was not officially over until 1969 with the death of the chief of the cruzob town of Chumpom and the last of the Caste War leaders. This Caste War lasted 122 years, when the new council of Maya elected not to attack the road crew invading their territory, because they could not get modern carbines to fight with. The island wasn’t really resettled until 1848 when people sought refuge from the “war of the castes” on the Mexican mainland. During the 18th and 19th centuries, the island of Cozumel became home to a little fishing village and supply post for ships. By 1843, Cozumel had again been abandoned. Five years later, 20 families fleeing Mexico's brutal Ware of the Castes resettled the island. These families still live on the island..
Cozumel was inhabited in 1848 by refugees from the War of the Castes on the mainland. These settlers numbered around 700 by 1890 and based their economy on the Columbia Hacienda, which was a little south of San Francisco Beach. In the early 20th century, the island had an abundant supply of Zapote (sapodilla trees), which produce chicle, prized by the chewing gum industry. Chiclets was one of their original products. Shipping routes included Cozumel.. The deep harbor made it perfect for large vessels and ships. Jungle forays in search of clicle led to the discovery of ruins which drew attention from archeology. The invention of synthetic chewing gum diminished the demand for chicle. In 1927, the first airplane touched down on island soil. In it was the great aviator Charles Lindberg, fresh from his New York–Paris run. During World War II, the USA built an air base on Cozumel. Unfortunately, the base was built over the ruins of an ancient Mayan town and almost all vestiges of San Miguel ruins disappeared. The US Army built an airstrip and maintained a submarine base here for years. 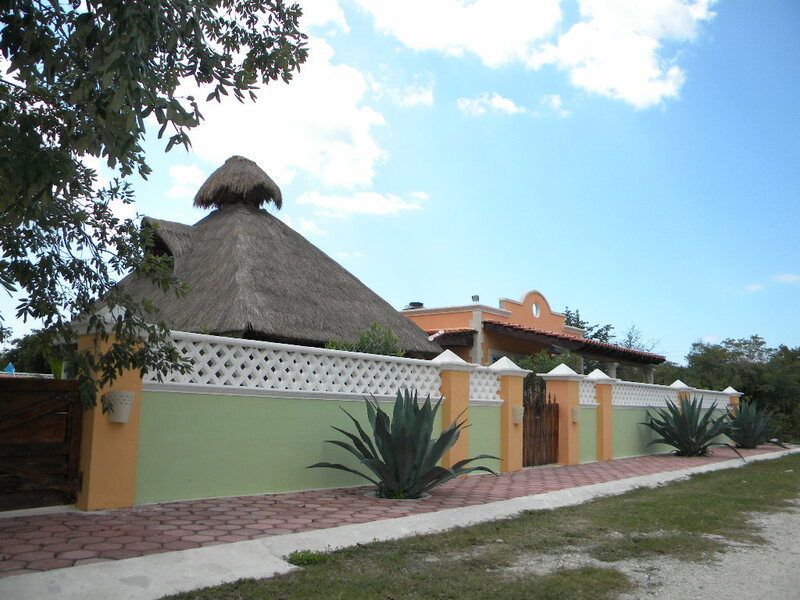 It was not until the 1950’s that the island emerged as a health resort for Yucatecans. Jacques Cousteau visited the island in the late 1950’s and discovered Palancar Reef. He was struck by the beauty and massive size of Cozumel’s reefs. Slowly, the dive trade began to develop. The island continued to grow and by 1970, the population had reached 10,000 for the first time since 1500. In 1978, the census was 20,000 and today it’s closer to 50,000. Tourist interest has increased greatly not just because of the incredible diving but also the many other water and sun related activities, archaeological excursions to be made nearby, world-class fishing, cruise-ship visits, great shopping, and restaurant hopping. All this in a much less hectic or glittery atmosphere than Cancun — which go together to make this wonderful island a true paradise. 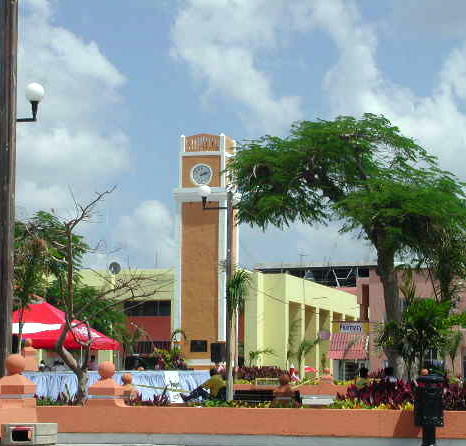 The heart of the island is the little town of San Miguel. About 90 years ago, a group of workers digging in an area north of town unearthed a statue of the archangel St Michael carved from ivory, brandishing a sword of pure gold and wearing a gold crown. This event occurred on a day holy to San Miguel — September 29. To the locals, this coincidence was too great to dismiss as less than a miracle, and thus the town was renamed. The statue is believed to have been a gift from Juan de Grijalva as part of an attempt to introduce Christianity to the island. The original statue was sent to Merida to be restored. Some say that the real statue never returned, and that the one on display is an exact replica rather than the original, but this has never been proved. In 1916, when Colonel Isaia Zamarrypa ordered the Catholic temple located in the town center destroyed. Pious members of the congregation with much forethought took the statue and put it away for safekeeping. Today, the statue of San Miguel de Cozumel, patron saint of the island, occupies a place of honor on the alter of the island’s principal Catholic Church. Visitors should go to the church to see the statue. It is an object of considerable beauty and great archaeological and historical significance. The area including the Yucatan Peninsula, El Salvador, Belize, and Guatemala is the home of the Maya, and has been for over 3,000 years. There are many different pre-Columbian sites to see on the mainland, including Chicken Itza, Tulum, Coba, Uxmal, Palenque, and many more. 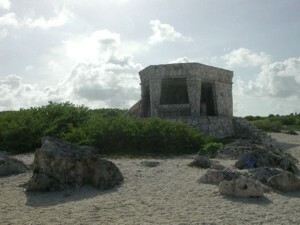 There are also some ruins on Cozumel Island. 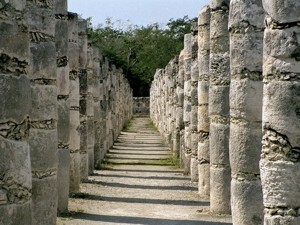 Though not as awesome as Chicken-Itza or as spectacular as Tulum, they are fascinating nonetheless and worth seeing. The recently restored San Gervasio ruins are located in the central part of the island just off the main highway that crosses the island. The little “town” is in the middle of a beautiful jungle. The archaeological zone consists of six groups of several buildings each, most of them in the “Oriental Coast” style. San Gervasio is thought to be a ceremonial center and is connected to other parts of the island by sacbe, or white roads. Three building groups are visible at San Gervasio; these are connected by trails that are built along the old Maya causeways. The structures are mainly small temples and shrines built on platforms around a plaza. In the middle of one causeway you come to the Temple of Ix Chel, a small but well-preserved building that was probably a shrine, although the connection to the goddess is not certain. Archaeologists at San Gervasio have recently found a grave containing 50 skeletons and some Spanish beads, leading them to believe that these were victims of a European disease brought by the conquistadors. Most ruins on the island are of the "oratorio" type: small square buildings, low to the ground, with short doors that convinced early Spaniards the places were once inhabited by dwarfs (a myth no longer believed). El Cedral is the exception; though the temple is small, major ceremonies were probably held on this site. Just beyond San Francisco Beach on the main highway leaving town, a 3.5 km paved road takes off to the left and ends at El Cedral. Small and not enormously impressive, this is the oldest Maya structure on the island. Amazingly, it still bears a few traces of the paint and stucco applied by the original Maya artist, but deterioration indicates hundreds of years have passed. A tree grows from the roof, with thick, exposed roots interminably tangled in and around stones of the ancient structure. Fat iguanas with bold black stripes tracing their midsections guard the deserted, mold-covered rock structure; sounds of cows blend with the songs of countless birds and the resonant buzz of unseen insects. 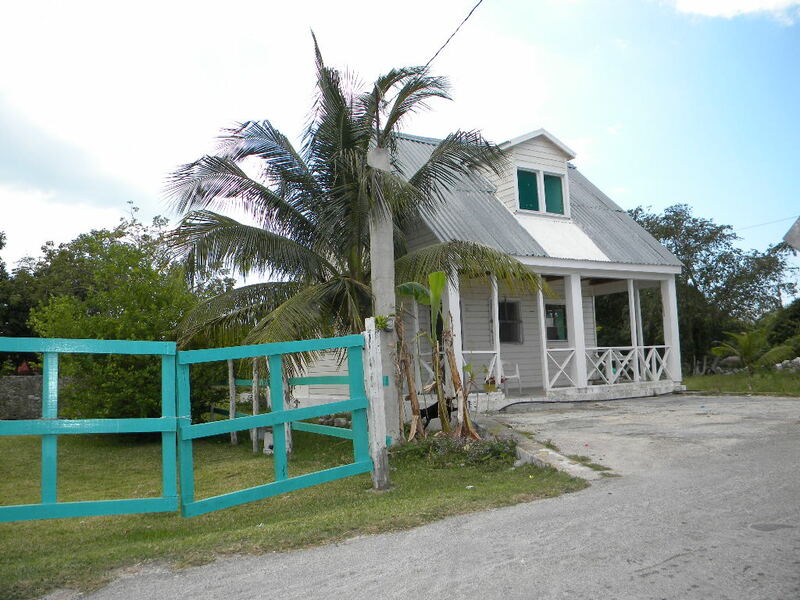 Located in what is now a small farm settlement, El Cedral was used as a jail in the 1800s. 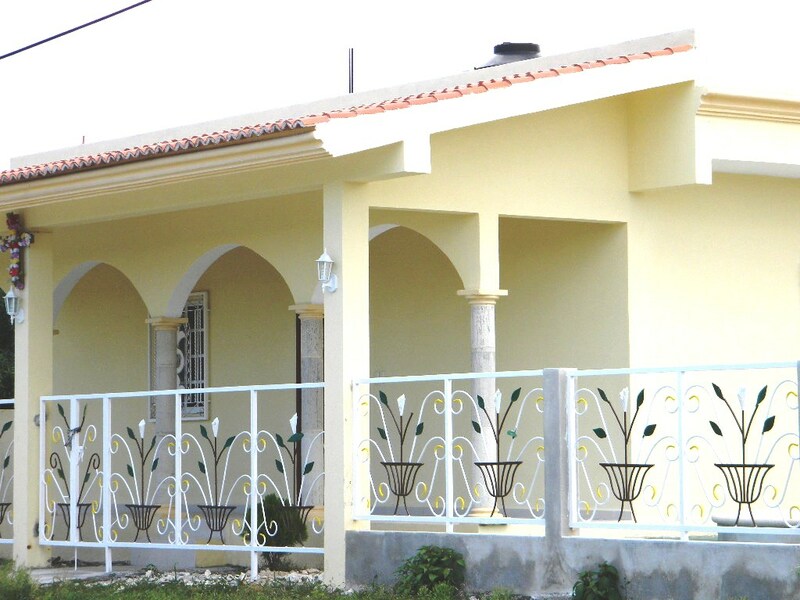 Nearby is a rustic, modern-era stucco church painted vivid green. Go inside and take a look at two crosses draped with finely embroidered lace mantles--a typical mixture of Christianity and ancient belief, which some believe is associated with the Talking Cross cult. There are a large number of other sites on the island, yet none of them are very well restored. Many are located in the swampy area in the northern part of the island near the lighthouse. You can only get there by boat. The original Mayan town on the island was located at El Cedral. During the escape from the war of the Castes, Don Casimiro Cardenas y su esposa Dona Victoriana Tapia, landed on the island and while hiding from the Spaniards, at El Cedral, he swore that if God saved his life, he would forever hold a celebration in honor of God at El Cedral. 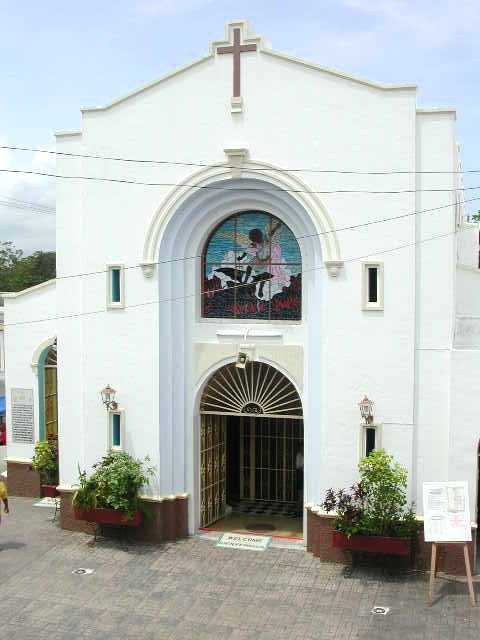 Today, that celebration is still held once a year at El Cedral. 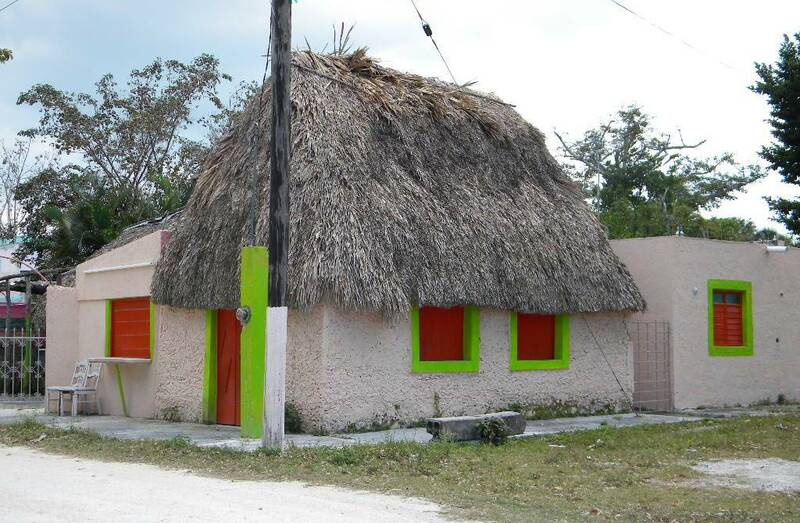 The town itself today, is a community of cute wooden homes, combining the Mayan rustic style mixed with the Caribbean palapas, and large partios. There are street signs, and many people live here full time. 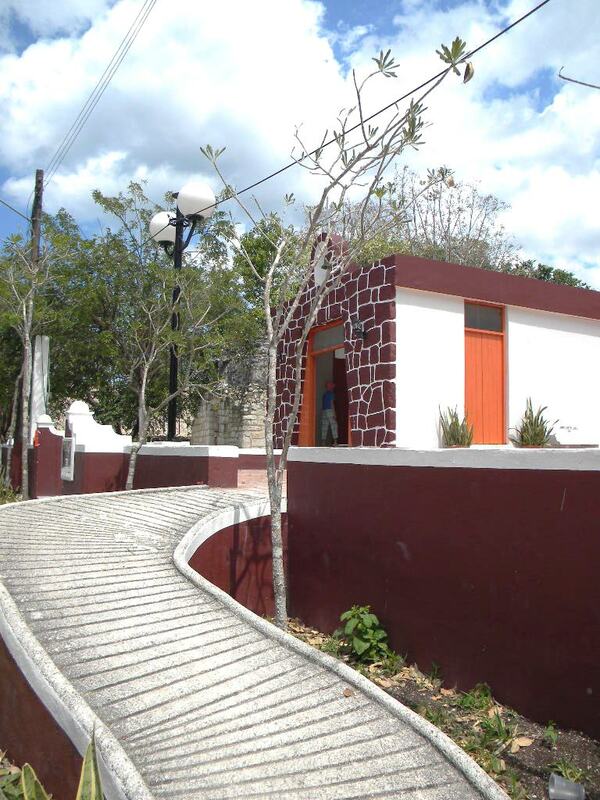 The majority of the homes are owned by families who have their main life and home in San Miguel, the town. They spend holidays, and weekends at their Cedral Homes. Here are a few samples of the cutest homes I saw while I walked the streets. 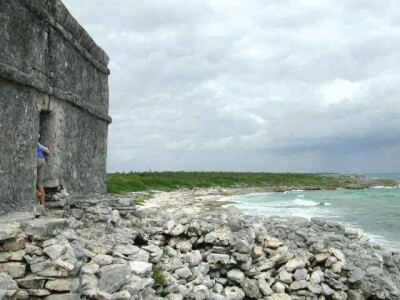 Castillo Real, on the east coast, where the largest ancient building on the island is located, is well preserved. There used to be a rough route getting there but is hasn't been accessible since Hurricane Wilma hit in 2005. Rumours are that un unnamed millioniare (hint, he has a reality show and three beautiful wives), bought a large portion of this land for development but so far, there have been no moverment towards development or to opening up the road again. There is a military base up there and they protect the land. There were other vestiges of ancient Maya occupation on the island, such as Buenavista El Cedral, Punta Morena, Tumba el Caracol, and Santa Pilar. Hurricanes have played havoc on the shoreline ruins. Before and After, same shot. 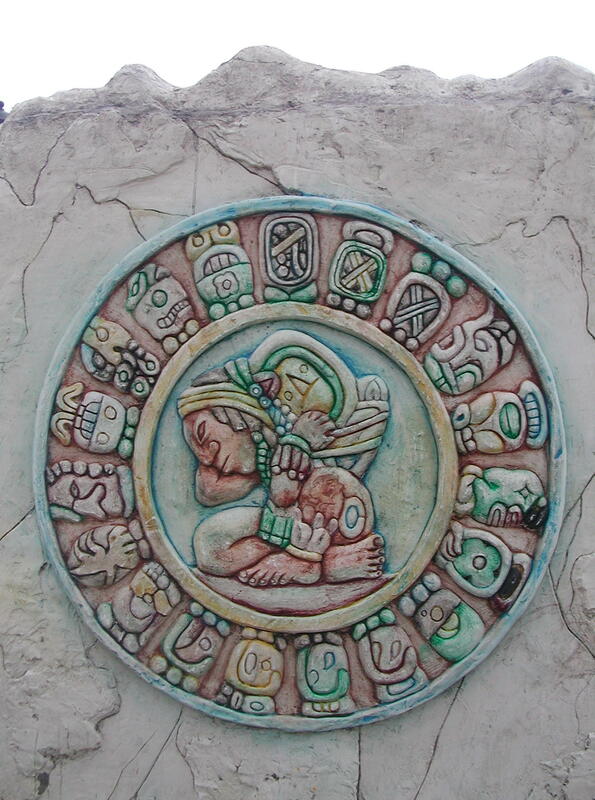 Even today, many of the local people show a striking resemblance to carved and painted images of the pre-Columbian Maya. Many locals still speak a Mayan dialect as well as Spanish.